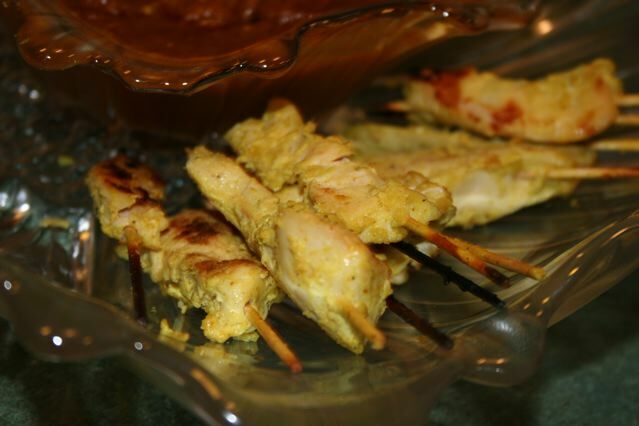 3 Chicken Breasts Sliced into whatever size of Satay you would like. You should be able to get 4-8 Skewers from Each Breast depending on the size of your breast…and I am talking about the Chicken Breasts here…haha! First thing you should do is tear off the outside, dry part of the lemongrass until you get the scent to start releasing from the stalk…it will smell REALLY good! Lemongrass is extremely woody and tough and not so good to eat on its own, but the flavor is out of this world, and is a great addition to Marinades. Cut the peeled stalks into chunks and put them into your food processor or blender. Pulse your processor to mince the Lemongrass into small, tiny pieces, and then drizzle in the Olive oil, while pulsing to create a sort of lemongrass paste. Add this paste to the Coconut Milk in a bowl and whisk together. Add in all of the other spices and whisk together really well. 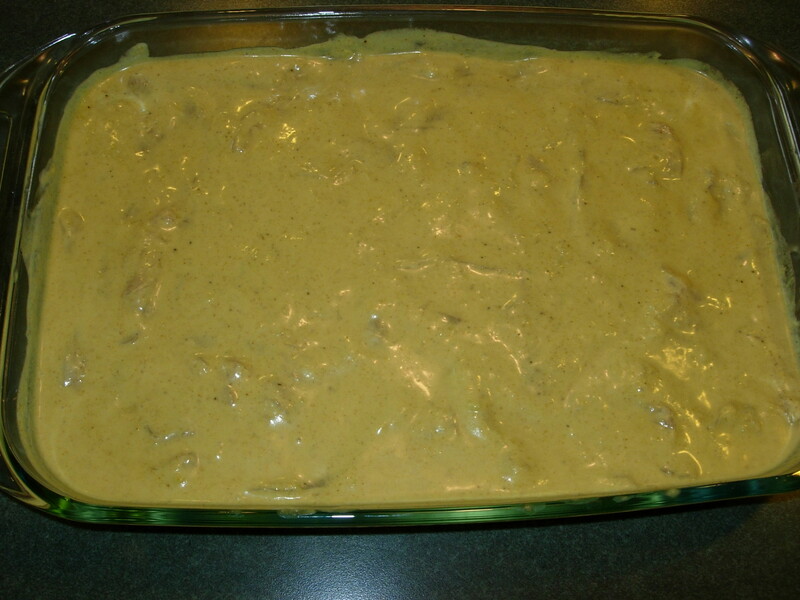 Put the chicken strips you have cut into a pan that is not too deep and pour the marinade you made over all of them. Make sure they are all well coated and covered in the deliciousness and then cover the dish in some plastic wrap and put back in the fridge for 2-8 hours. You can grill these on an outside Grill or inside using a Grill Pan. 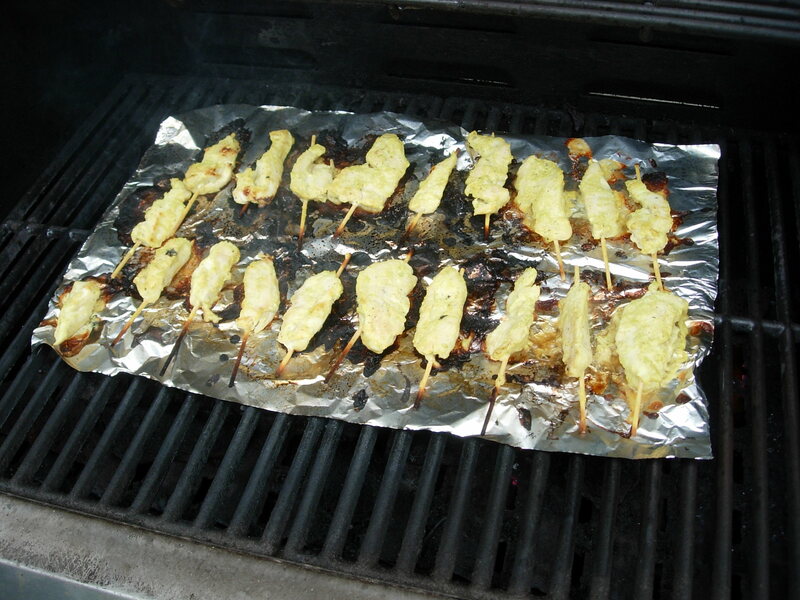 If you are grilling outside, put a piece of Foil down on the grill under the Chicken so they don’t stick to it. If you are grilling inside, a quick brush of olive oil or spray of Cooking Spray on your grill pan will do the trick. if you want to skewer the strips with soaked, wooden skewers feel free, or you can just grill them on their own. Let the excess Marinade drip off before placing them on the hot Grill. Grill for about 3-4 minutes on each side, or more if you have really thick Strips. 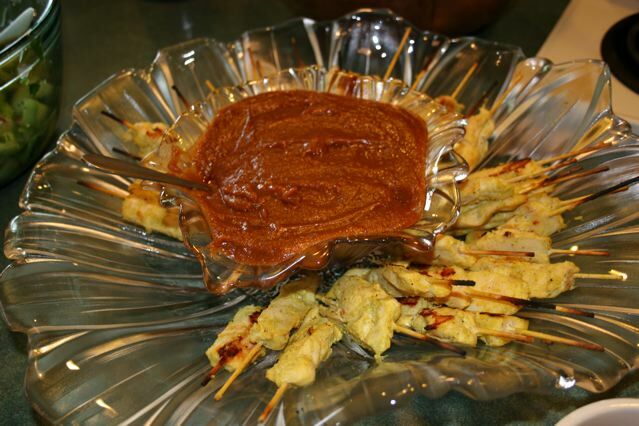 When they are done, dip them in your favorite Peanut Sauce and ENJOY!!! If you are living in Seattle, Tawon Thai in Fremont has the BEST Peanut Sauce, and until I come up with a better sauce, I will use theirs with this recipe! Happy Sataying!!!! Let me know if you like this recipe! This is the pan after a few had been eaten. I wasn’t quite quick enough with the camera! 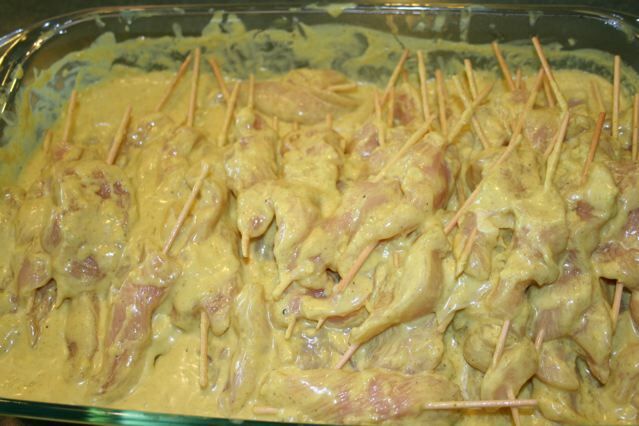 The Last few surviving Satays….awaiting their fate! Stay tuned for the next post! You won’t want to miss Delicious homemade Garlic Ginger Won Tons! I really need a recipe for the BEST peanut sauce. I live far away …from anything, and NEED a peanut sauce recipe. & ..you are beautiful. Thanks Colleen! 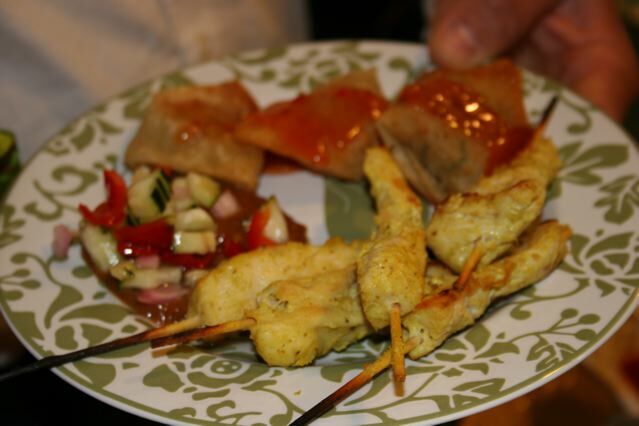 I am in process of finding the perfect Peanut Sauce and will post it as soon as I find it! 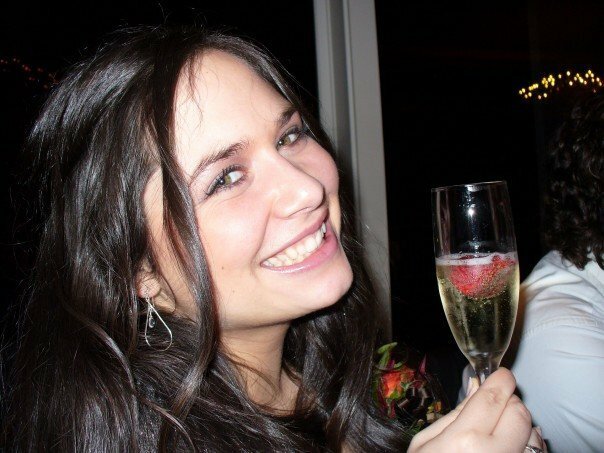 Hope you are well! I SO enjoy your recipes! Thai food is my favorite food as well, so I am anxiously waiting for the rest of your thai food menu from that night =) Thank you for sharing your talented cooking skills with us! Aleah, this was my favorite chicken ever! It was amazing! I think I would give it a 10 out of 5!!!! Thanks Heather! I love it too…think I need to make it again now that you mention it! haha Happy Valentines Day! « Butterscotch Peach Crisp for my Father-In-Law’s 60th Bday!